I find the new year stirs up some deep desire to organize…well…everything in my house. The place that I feel the most cluttered is my vanity. 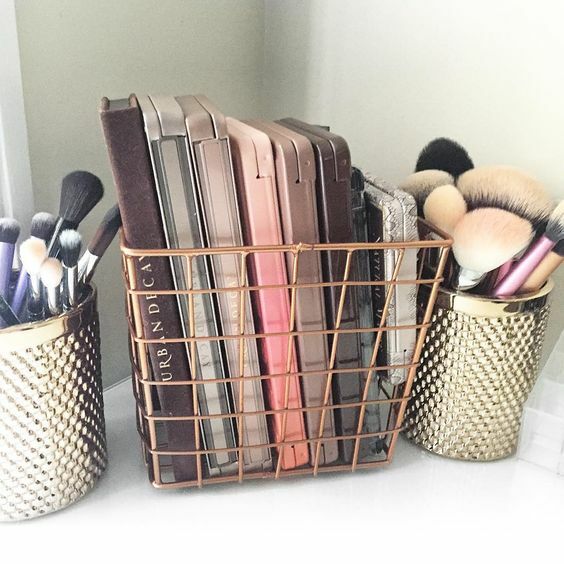 Now lets be honest here, when you have a lot of beauty products its hard to organize. Especially when you are like me, a chameleon, and like to try different products almost everyday. And lets be real, who has the time? I have a full time job, am a mother, and my husband works a lot of hours. This is basically a dream that my not ever come to reality. 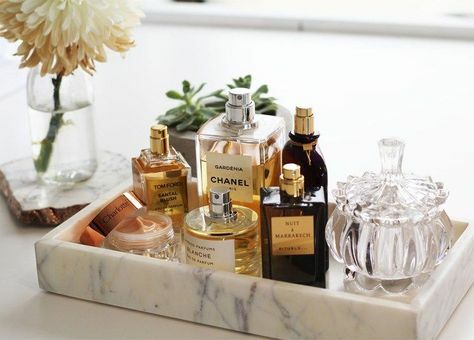 I dream of having a pretty presentation of beauty products when i enter my bathroom. 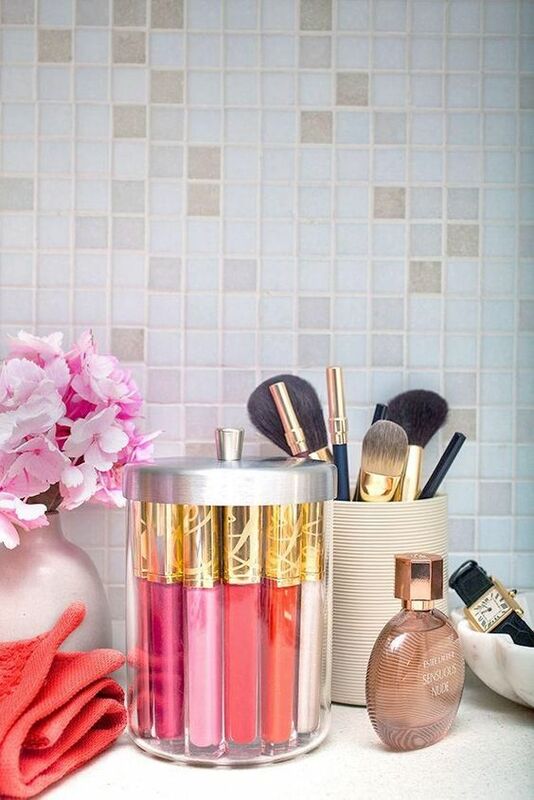 Maybe you can get some inspiration with this list to organize just one thing in your bathroom or vanity table. 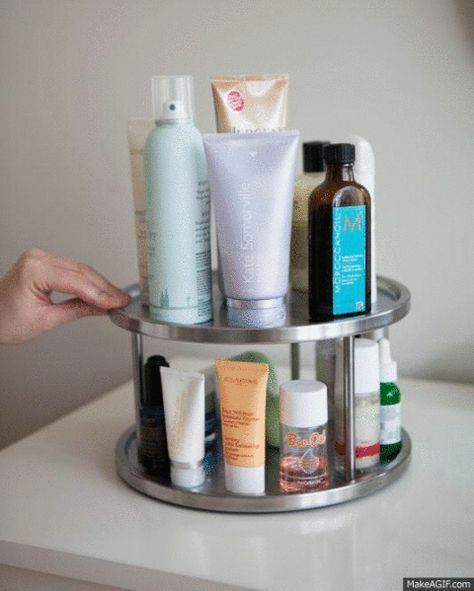 Start your new year out with organizing all those new beauty products you got for xmas. 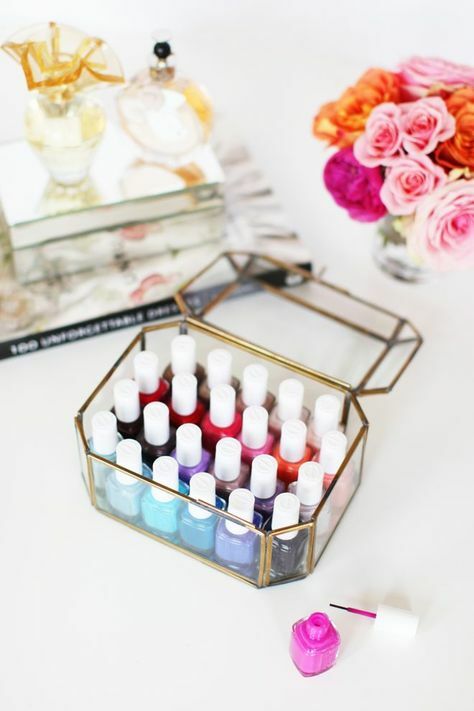 In 2017 make your life easier by arranging your brushes, perfume, and makeup with these unique and easy top 10 tips. You can pick these up at any container type store. You can even find these at Target or Walmart in the kitchen area and the organization area. I have found cake stands at Homegoods and TJMaxx for fairly cheap. 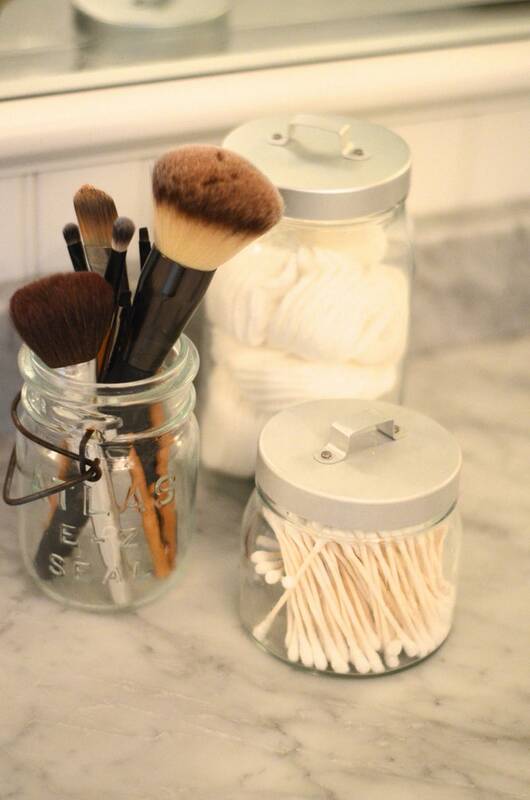 You could even go to a thrift second hand store and find some pretty containers. 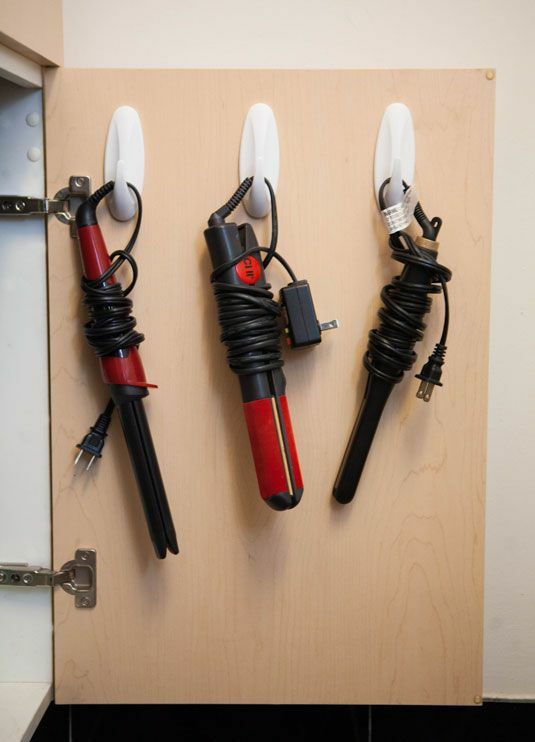 Put hooks inside your cabinet door to store your curling irons. 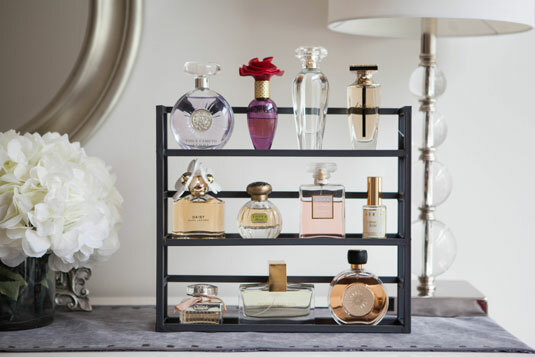 Use a decorative tray to showcase your perfume or makeup. 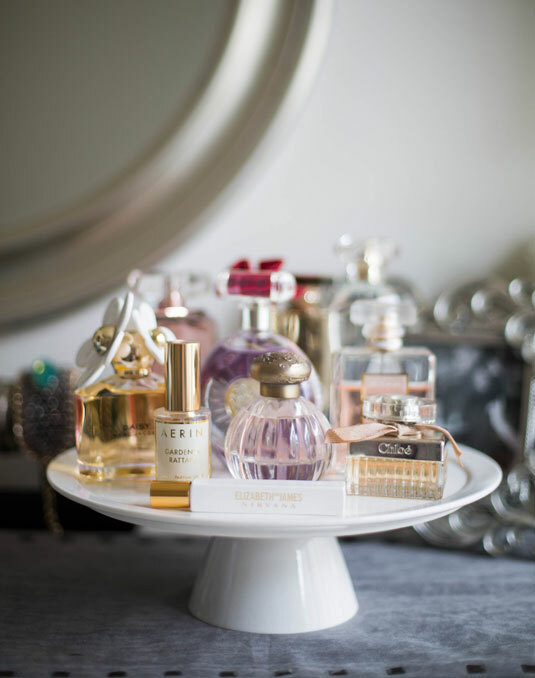 Where can I by the tiered vanity tray? It’s beautiful! Where is the 2 tiered tray in the top picture from? I love it!! Unfortunately, I didn’t link the source. I’ve learned since then to link sources and not just name them. Anyways I found some that are similar.